The air is the elixir of life. However, the air contains impurities, whose composition and concentration vary depending on the location. Various researches have shown that the fine dust particles in the air are damaging to the heart, lungs and brain. For measurement is often used complex and expensive measurement technology. 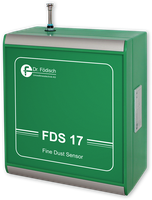 Thanks to the compact fine dust sensors of Dr. Födisch Umweltmesstechnik AG this is now history. These are a low cost measuring devices for industrial applications. Whether the application is for outdoor, indoor, stationary or mobile – the device handling is easy, the measurements are precise and independent from the weather conditions. By means of preconditioned air the particulate matter content of the air is measured every two seconds. By WLAN, the the devices can be linked to other air quality / climate sensors to achieve an efficient, meaningful environmental monitoring. 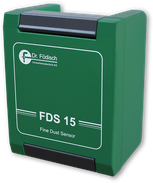 There are many benefiting advantages, for example the analysis of ambient air for particulate matters at workplaces.